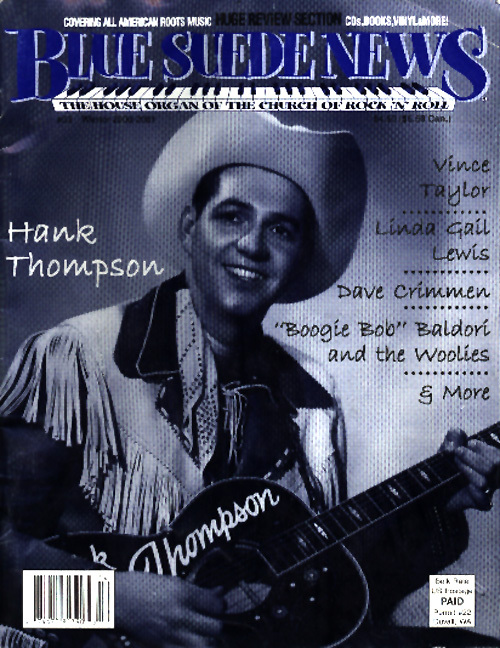 Blue Suede News...68 page single copy Europe: Rockabilly, Rhythm and Blues, REAL Country Music, '50s Rock'n'Roll, American Roots Music! pay by credit card over the phone, or send us a check in the mail. Questions by e-mail are welcome E-mail BSN .